How are you with time management? I am really good at managing my time but I think that is because I have a routine that I stick to. Each morning I plan my day. I work out what has to be done, and in what order and I set out to achieve that. Mostly I manage to get everything done in a day that I had planned. But, there are some things that just don’t seem to get done and that is because the task itself is too big. I have 4 boxes of art and craft stuff and for months I have been meaning to sort through them and throw out what is no longer usable. But, the thought of doing all 4 boxes at once meant that I keep putting the task off. So, I decided to do a box at a time. That made it much easier and so each weekend I have emptied one box, thrown out what cannot be used and tidied up what can be used. I am also redoing my garden. It has taken me a long time to decide what I want where and so I am tackling it slowly, one plant at a time. The other thing that I have done is transcribe all of my handwritten recipes that I want to work on into one book. That way I will actually work through the book and get them done, rather than have a pile of books next to my couch just ‘staring’ at me. I am trying to save time wherever possible by being organized. Another thing I am doing is making dessert in the most time saving way as possible. 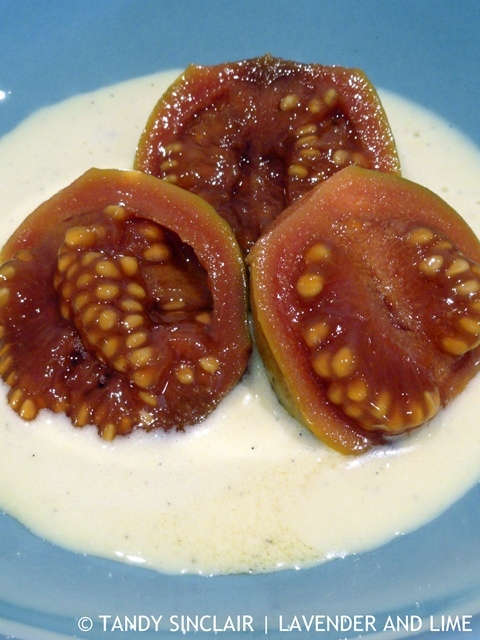 Every night during the week we enjoy poached fruit with custard for dessert. As winter drew to a close we enjoyed poached guavas and now that summer is showing her face we are eating poached pears and poached peaches. Dave is in charge of making the custard so I get to enjoy a treat after dinner that has taken very little time. The poaching liquid can be used over and over again and I just top it up when I need to. What is your best time saving tip? Ginger adds a nice warm note to the guavas, which need very little attention to make. What an elegant dessert!It is beautiful. I love guavas! This looks amazing! I get myself overwhelmed with my to-do list. Breaking it into to small parts is so much smarter than thinking I can conquer everything at once. I’ve never had a guava fruit before, but these look so delicious! I love the ginger! I’m generally not that good with time management- I always go over the time I set myself haha…..especially when it comes to studying!! Your poached guavas looks really good! I don’t think we can get guavas here very easily (dont think I’ve seen them in the shops) otherwise I’d definitely love to try making this! 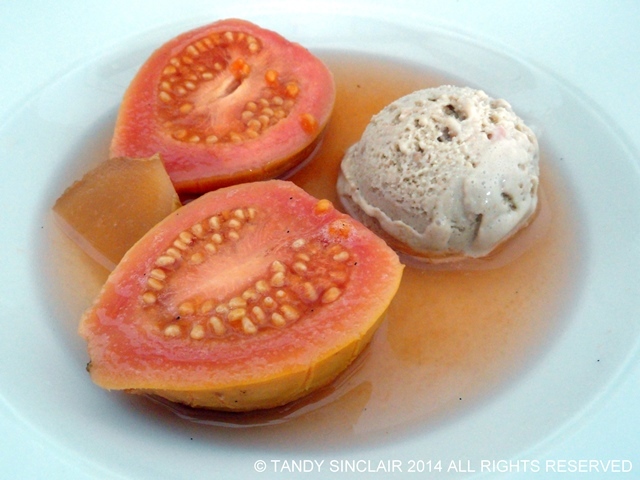 Did you make the guava ice cream as well? Hi Tandy! I guess my best tip is to try not to get too behind on tasks. That’s great that you get most of what you had planned to do on any given day – you must be organized and that’s key! This poached guavas looks delicious, would order this on any restaurant menu =) Have a lovely day. Oh, these do look so pretty – Tandy – we don’t get guavas here very often. I like the lesson you are learning, it is something we should all take to heart! I’ve never thought to keep the skin on the guavas. Have a lovely day Tandy.